See the newest Willow Park homes for sale in Calgary! Willow Park is a housing community located in the south zone of Calgary, Alberta. It is centered by the community of Maple Ridge on its east, Southland Drive on its north, Anderson Road on its south, and Macleod Trail west. Discover just listed Willow Park homes & condos for sale now! Schedule a private condo or home tour with your Willow Park Calgary real estate agents today. Willow Park housing market statistics: As of April 25, 2019 there are currently 31 properties for sale in Willow Park listed as active, with an average asking price of $721,087. The highest-priced property is $2,888,888; the lowest priced property can be purchased for $249,900. 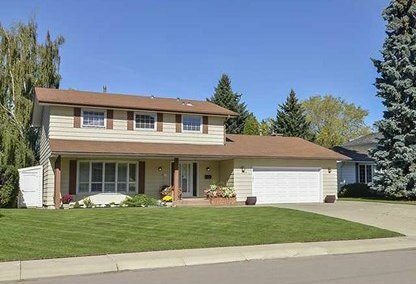 Willow Park neighbourhood listings have an average price of $383 per square foot, based on listings with 4.1 bedrooms, 3.1 baths, and 1,804 square feet of living space. 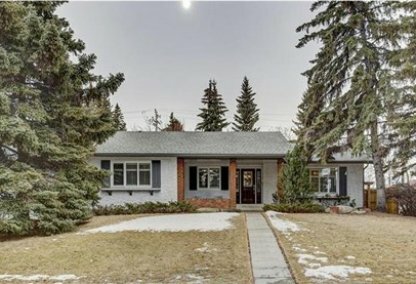 Thinking of selling or buying a home in Willow Park Calgary? Call Justin Havre at RE/MAX First - 403.217.0003. Our community of Willow Park real estate agents will help you navigate the Willow Park housing market in Calgary. Ward 14 Alderman Peter Demong represents the Willow Park community in the Calgary City Council. In 2000, the median household income was $63,588. In 2000, condominiums and apartment buildings represented 9.5% of residential properties, while 18.2% of the housing community was used for renting. In 2006, the population in the neighborhood was at 5,307. Prices of real estate in Willow Park were at an average of $376,760. The most expensive in the area is listed at $585,000 while the lowest-priced home for sale is listed for $264,900. It is centered by the community of Maple Ridge on its east, Southland Drive on its north, Anderson Road on its south, and Macleod Trail to the west. Dividing the neighborhood from west to east is the Willow Park Golf Course, while crossing it north to south is Fairmont Drive. The nearest LRT stations to the Willow Park neighbourhood are the Fish Creek Lacombe Station, Heritage Station, Canyon Meadows Station, Southland Station, and Anderson Station. The closest bus routes include Dalhousie / South, Ogden, and Queensland. Notable local landmarks in the subdivision include the Ambrose University College, Calgary Airport, and the Chinook Centre Mall. Neighbouring communities of Willow Park homes for sale include Maple Ridge, Haysboro, Canyon Meadows, Lake Bonavista, Southwood, and Acadia. The neighborhood is served by Maple Ridge Elementary, Willow Park Middle School, Fred Seymore Elementary, R.T. Alderman Junior High, St. William Elementary School, and the French Immersion School. Other neighboring schools include Nickle Junior High, David Thompson Middle School, and Sam Livingston Elementary. The closest libraries in the area include the Fish Creek Branch, Southwood Branch, the Glenmore Square Branch, Shawnessy Branch, and the Alexander Calhoun Branch. Planning to buy or sell a home in Willow Park Calgary? Let our real estate team guide you in your search for the perfect home and professionally facilitate the sale of your existing home. As Willow Park neighbourhood real estate agents, we know how to navigate the Willow Park real estate market. Let's get your home sold quickly and at the highest price! Contact Justin Havre at RE/MAX First - 403.217.0003 to find out more about buyer or seller representation. Thinking of selling your Willow Park home? Check out our free property evaluation tool, where you can easily view Calgary Homes Values online in moments!